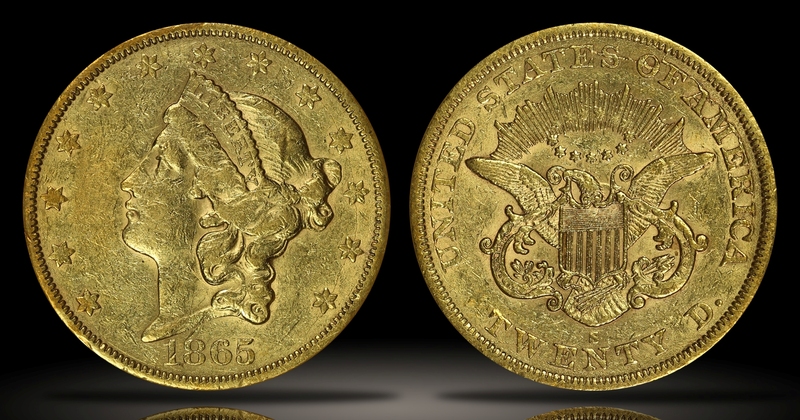 The $20 Gold Double Eagle was the largest denomination of all regular issue United States gold coins. 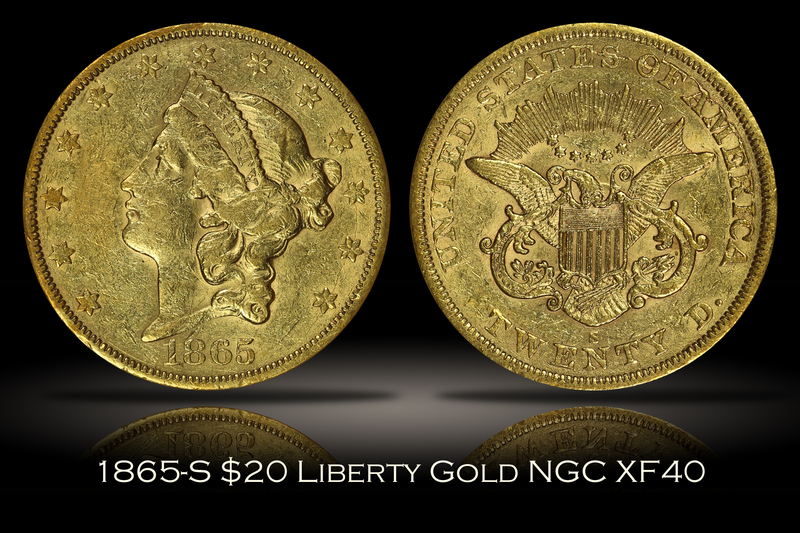 This 1865-S $20 Liberty Gold Double Eagle has been graded XF40 by NGC. The coin is moderately circulated with plenty of small marks and hits across both sides of the design. 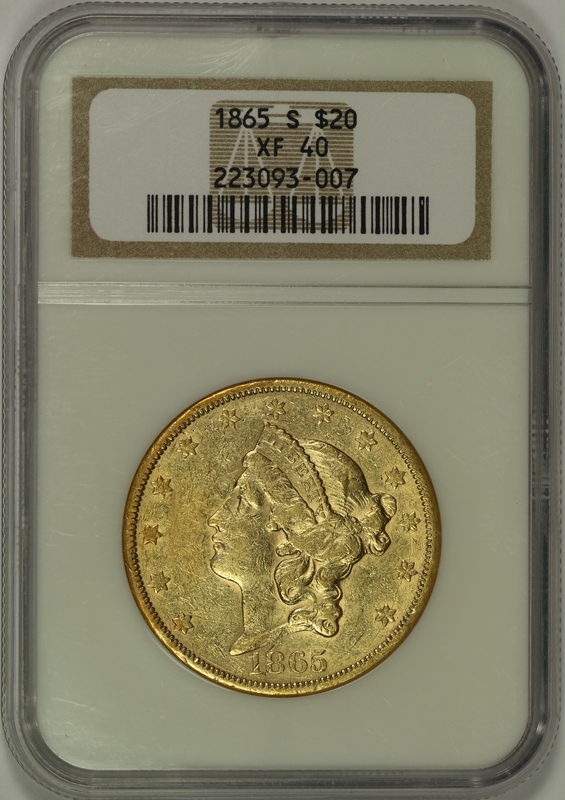 The original mint luster of this Civil War date issue is preserved, particularly in the more protected areas of the design. 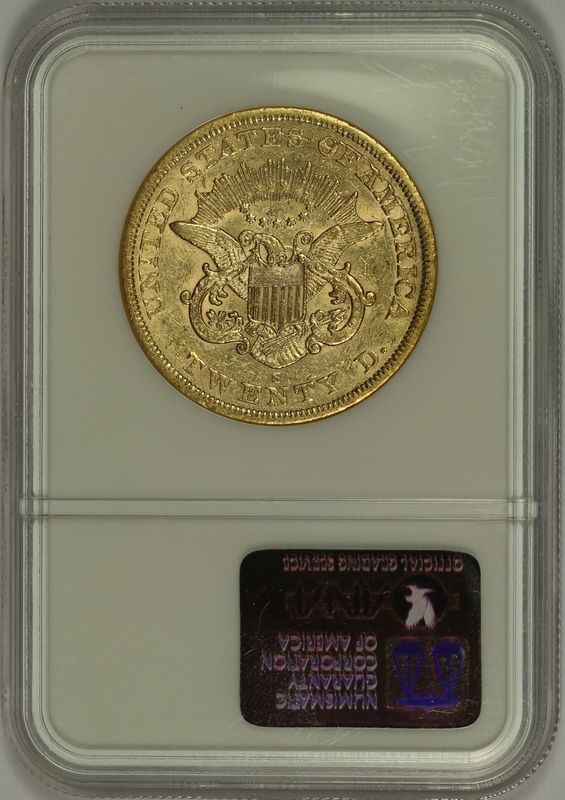 A nice moderately circulated example of the Type One No Motto $20 Liberty Double Eagle.